Recently, I've had a couple problems with my DIR-880L unit. Running the latest 1.05 FW. The first is that sometimes after rebooting the router, it will not allow any wireless devices to connect to the wifi networks, either 2.4 or 5 GHz. And in the off-chance that it does let one connect, there will be no network connectivity, either to the internet or the router itself. In this case, I would have to keep power cycling the router until it works properly again. 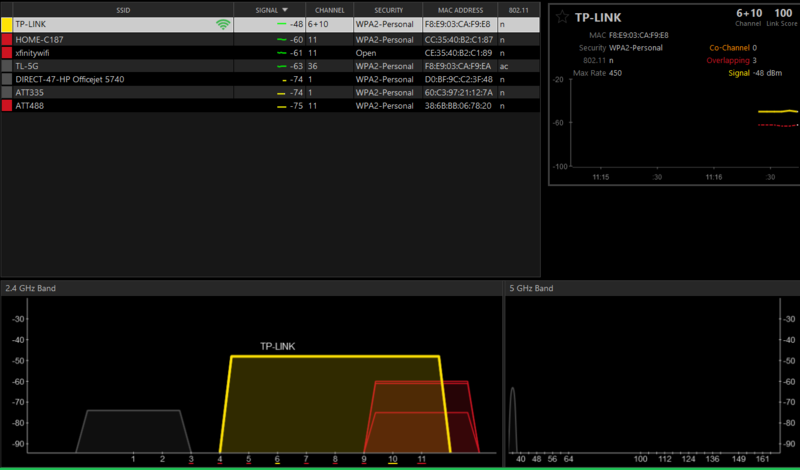 Another is that the 5GHz band isn't working how it is supposed to. It used to work fine, but now even if a client connects with a good link speed, the total download speed that it can get is around or under 10mbps on a 100mbps connection. 2.4 can achieve this fine, most of the time. QOS also doesn't seem to work properly. By even having it enabled, it causes wireless clients to keep disconnecting and re-connecting to the internet, but they stay connected to the network properly. I've had the router since April of this year, but I don't know how long D-Link's support/warranty lasts. What ISP Service do you have? Cable or DSL? What ISP Modem Mfr. and model # do you have? By-pass the main host router and check internet connection by connecting a wired LAN PC directly to the ISP modem to verify connection access and ISP speeds. For routers with Smart Connect Technology , try disabling this feature and test. Under Wireless. Factory Reset: Yes, though issues persist. Router has been functioning through every firmware update, though the issues seemed to start when updated to 1.04WW. Though this could just be a coincidence. I would test the wired speed but, I don't have a portable device or an ethernet cord long enough. Cat6 cable is in use. Smart connect is not enabled. Which SSID names is yours? Could you explain this? Is the modem and router not in the same room? TP-LINK and TL-5G. I just kept the same SSID name from the previous router. Correct. They are in another room, since there is no cable hookup where my PC is. There is a known issue with QoS at this time and D-Link is aware of it. I found that if you do a factory reset, walk thru the set up wizard, go immediately in to QoS after the setup wizard and set your ISP speeds and select Save, the new settings will save and the router will boot. For some reason there is some time out after some period of time and making any changes to QoS fails after this. I recommend for your use until this is fixed by D-Link, Avoid using QoS for now. You can revert to prior v1.04 FW if you think this will help to resolve this. If you do, factory reset, manually load the FW file using IE or FF, disable 3rd party security SW before sending the file. Factory reset once more then set up from scratch. Let us know how this works. I have QOS disabled already, and it's not the cause of the other issues. You can revert to prior v1.04 FW if you think this will help to resolve this. If you do, factory reset, manually load the FW file using IE or FF, disable 3rd party security SW before sending the file. Factory reset once more then set up from scratch. Let us know how this works. Only other thing I would try is to turn OFF all devices accept for one, disable the 2.4Ghz radio and then test out the one 5Ghz device and see how it does. Graduate adding devices one by one to see if maybe you encounter the problem. I might try a factory reset, manual re-load of the v1.05 FW, factory reset once more and set up from scratch using IE or FF to do this. Disable any PC security software temporarily while you do this process. This is odd. After disabling the 2.4 GHz radio, the 5GHz speed went back up. The signal is still weak, though. Showing 2/5 bars. I might presume that this unit maybe faulty and needs to be replaced or have D-Link do an RMA on it. Seems that this behavior isn't right. I recommend that you phone contact your regional D-Link support office and ask for help and information regarding this. We find that phone contact has better immediate results over using email. It's been a while since I've updated this topic, reason being that it had been working just fine since this. Until today that is. It still WORKS, in a sense, but IPv6 is completely broken. Factory resets, re-flashing, nothing helps. The router itself gets an IPv6 address from my ISP, but will refuse to give IPv6 connectivity to any client that connects to the router, wired or wireless. I spent about 2 1/2 hours on the phone with D-Link support tonight, and they were unable to fix it, but have said that they will call me tomorrow.